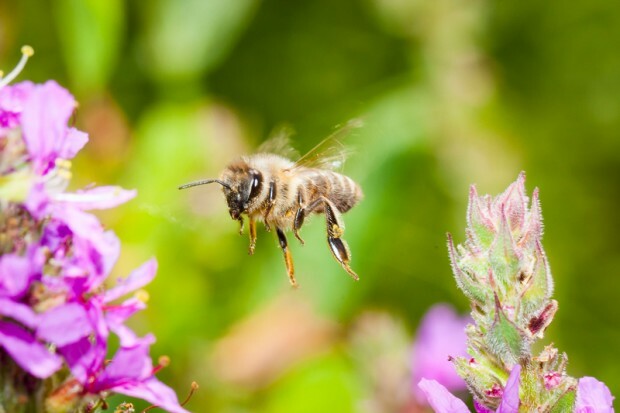 Bees are amazing little creatures, they have been around for more than 30 million years, their wings beat 190 times a second and they communicate by smells and performing special dances. 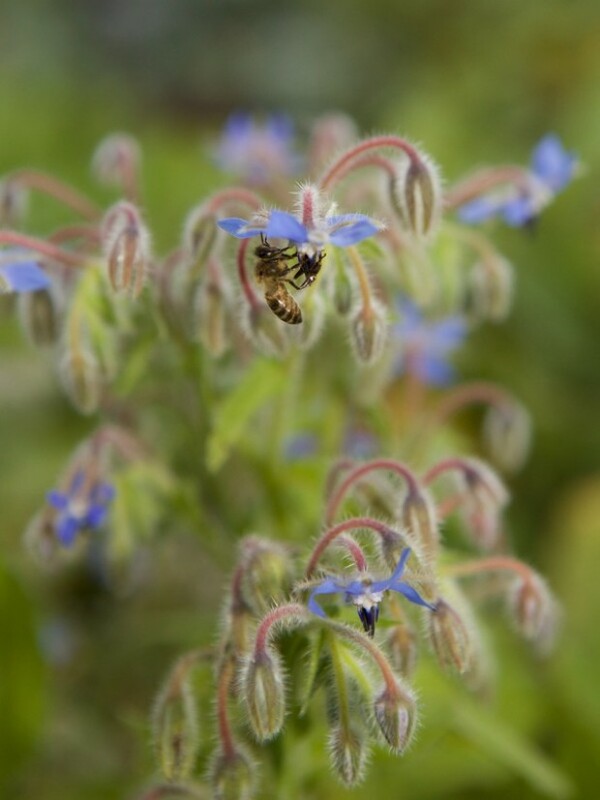 A third of the plants we eat have been pollinated by bees, they play a vital role in the ecosystem. 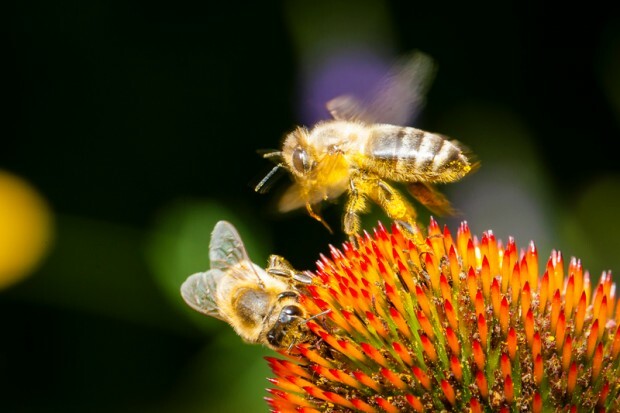 Since the late 1990’s bees have been in decline due to loss of habitat and the use of pesticides. 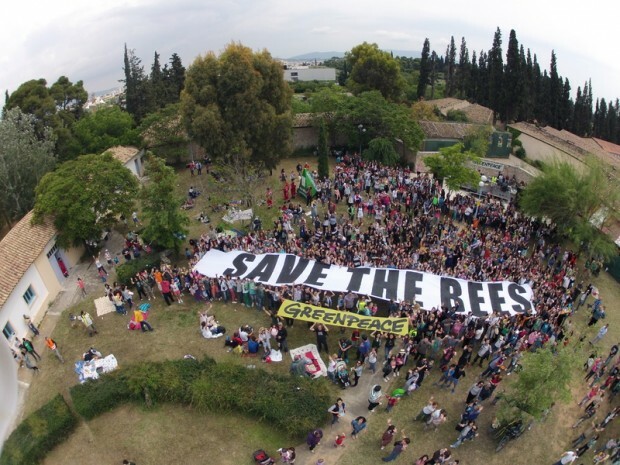 No bees means no honey and less food. 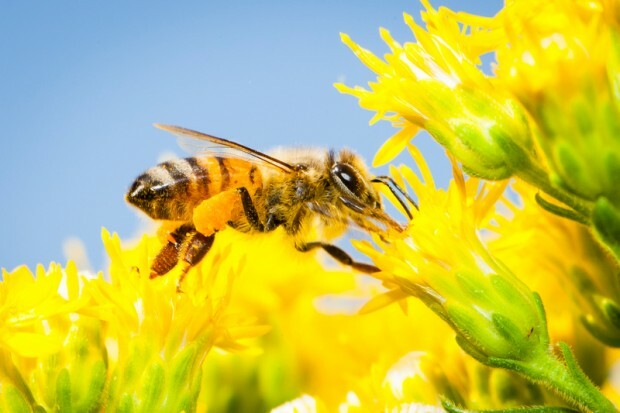 So to emphasise the importance and contributions that honey bees make we celebrate National Honey Bee Day today. 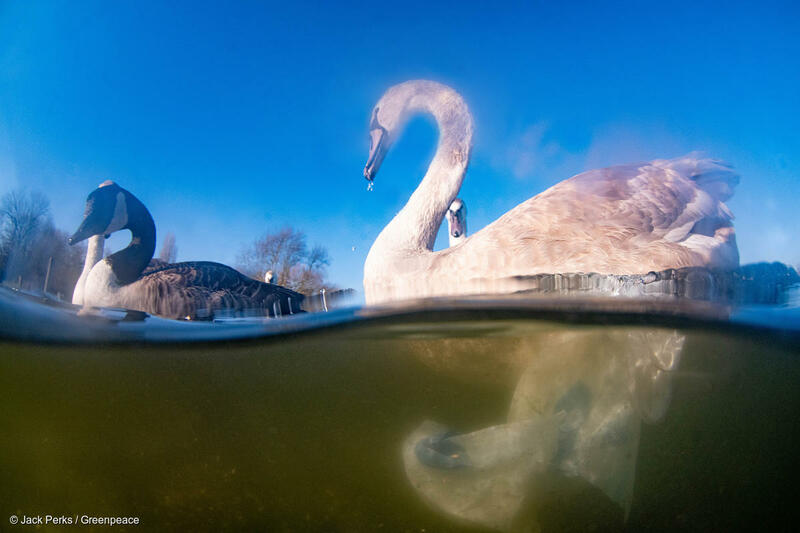 Our archive pictures show what we aim to preserve and document what’s at stake. 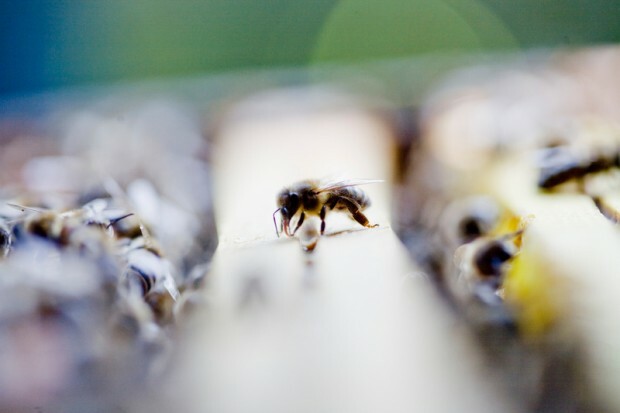 Recently, the UK government authorised the use of banned bee-harming pesticides again this autumn. The seeds treated with neonicotinoids will be in our fields within weeks. 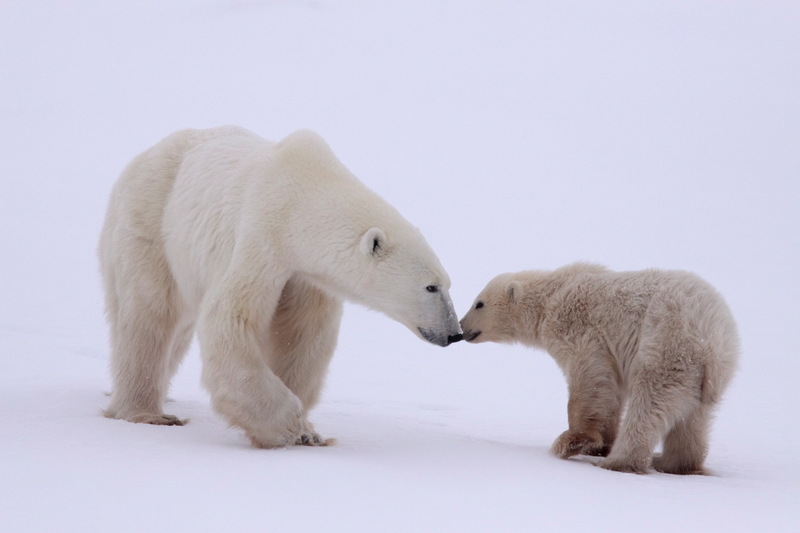 Add your name here to take a stand against this dangerous decision. Close up of bees on honeycomb in the Netherlands. Bee in garden of first prize winner in the Most Bee-Friendly Garden contest. Martha de Koning from Hoek van Holland and her husband have a 300 square meter garden with fruit trees, perennials, herbs and bushes. In the garden is a glass house situated where they grow grapes and they use parasitic wasps to combat pests. Bees making queen cup to raise a queen. 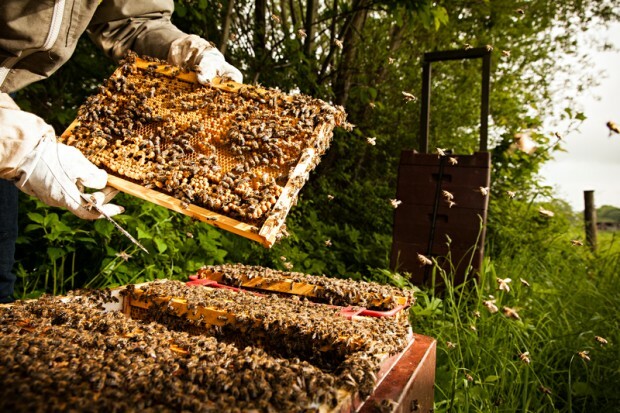 Beekeeper and honeycomb frames with masses of bees. 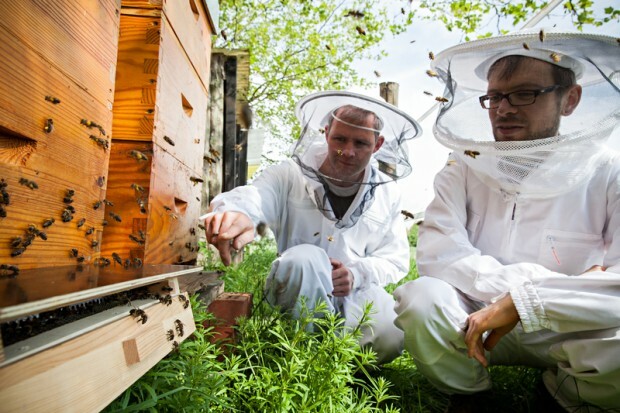 Dirk Zimmermann (right), Greenpeace campaigner for sustainable agriculture, and beekeeper Dr. Simon Bach, observe the bees entering the hive. 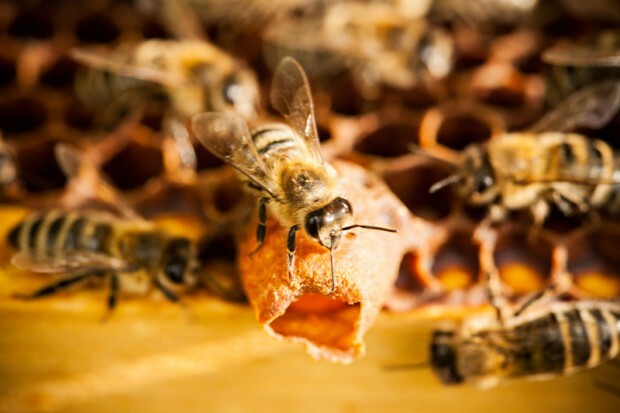 The pollen pellets are dislodged from the hind-legs of the returning bees and fall into the pollen collecting tray. 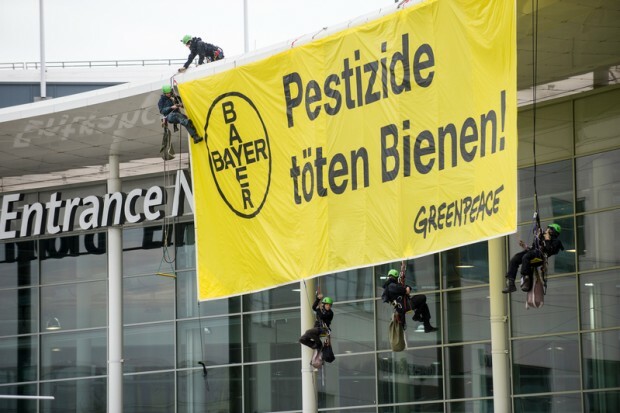 Greenpeace activists protest with a large banner displayed from the roof of the Cologne Fair building where Bayer shareholder meeting is taking place, against pesticides which contribute dramatically to bees decline. 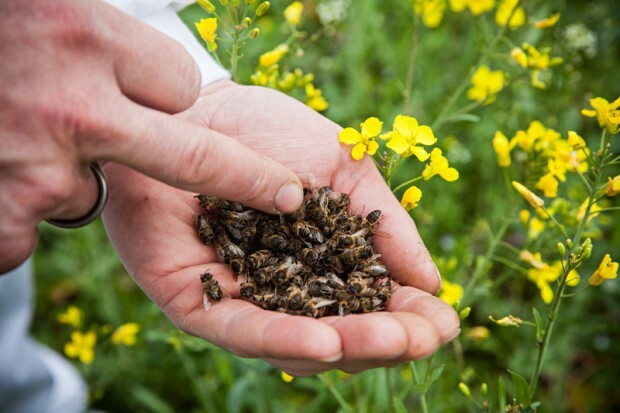 A beekeeper shows a handful of dead bees. 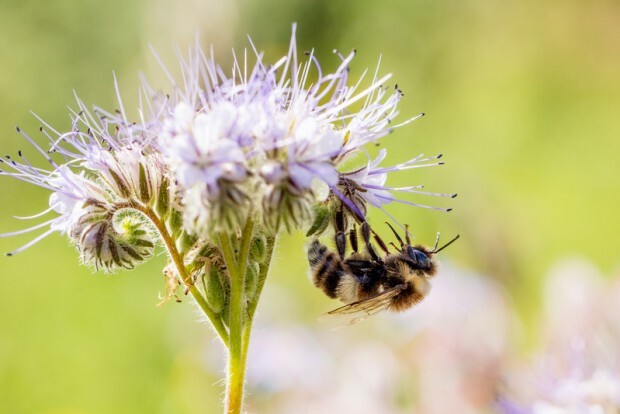 Close up of bumblebee on Phacelia flowers, bee friendly plant and used as green manure. 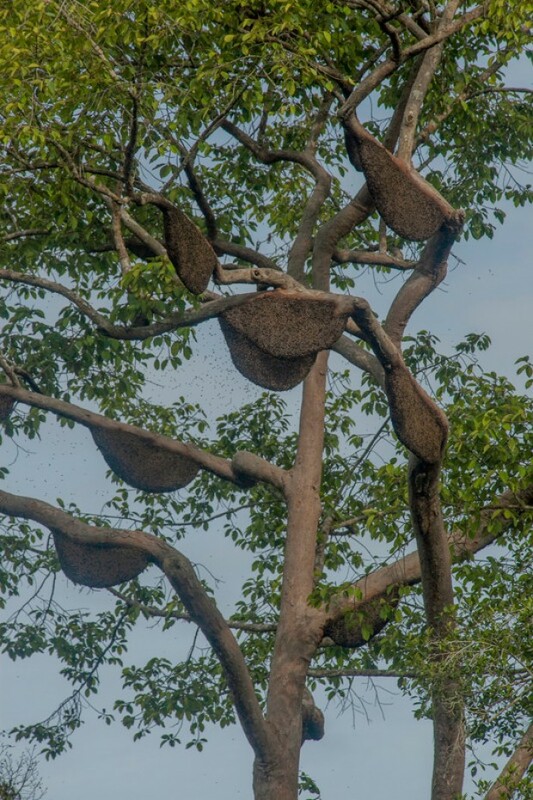 Wild honey trees (locally called Sialang trees) and the honeycomb are seen at the Tesso Nilo National Park, Indonesia. 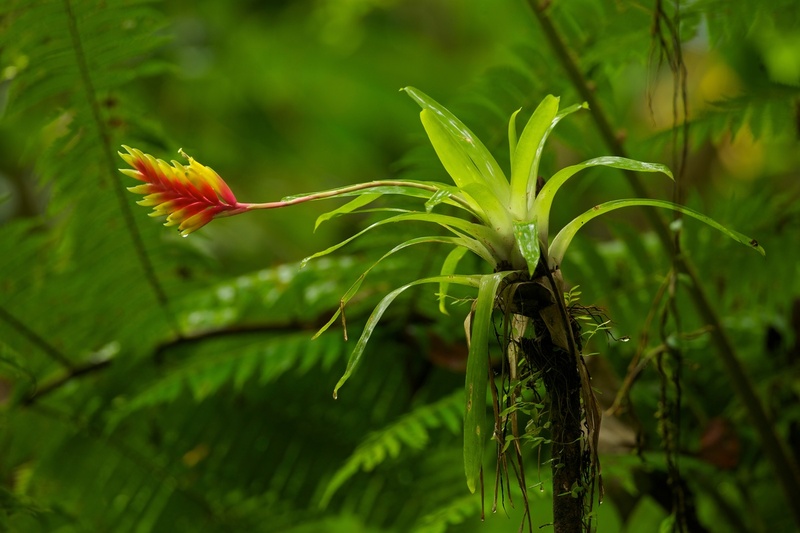 This forest complex has one of the world’s highest recorded diversities of plants. 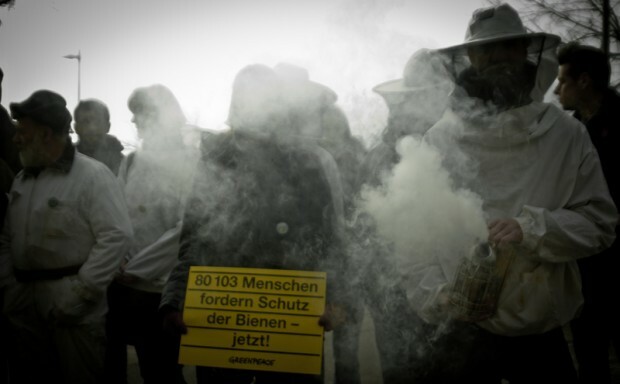 Greenpeace activists and local beekeepers hand a 80,000 signature petition to the Swiss government, calling for the protection of the bees and an end to pesticide use.